1. Determine your birthday month and get a word that rhymes with it or you can affix to it. caps lock your birth month (ex: MAYday! 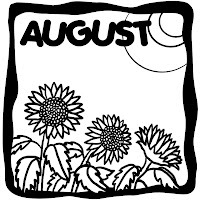 JUNE dune, APRILicious, JULYvely, AUGUST pocus, parched MARCH…). be unique. 2. Your birth month plus the word affixed or rhymed shall become the tag’s title in your case. 3. Get your birthday and add the digits involved. Example, if your birthday falls on the 25th of July, add 2 and 5 you get 7. 4. Whatever is the sum, write a list of the MATERIAL gifts you wish to receive, the number of which shall correspond to the sum of your birthday. For example, applying the case above (in rule number 3), you will write seven (7) things you wish to receive. 6. Pass this tag meme by tagging as many people as you want. 1. A honeymoon for us. 2. A trip to Boracay next year. Tagging: Precious, Chant, MM, Shiela and Joy. hi jo. appreciate the tag. is that ok, if i will do it when i have spare time? salamat my dear. ingat ka.